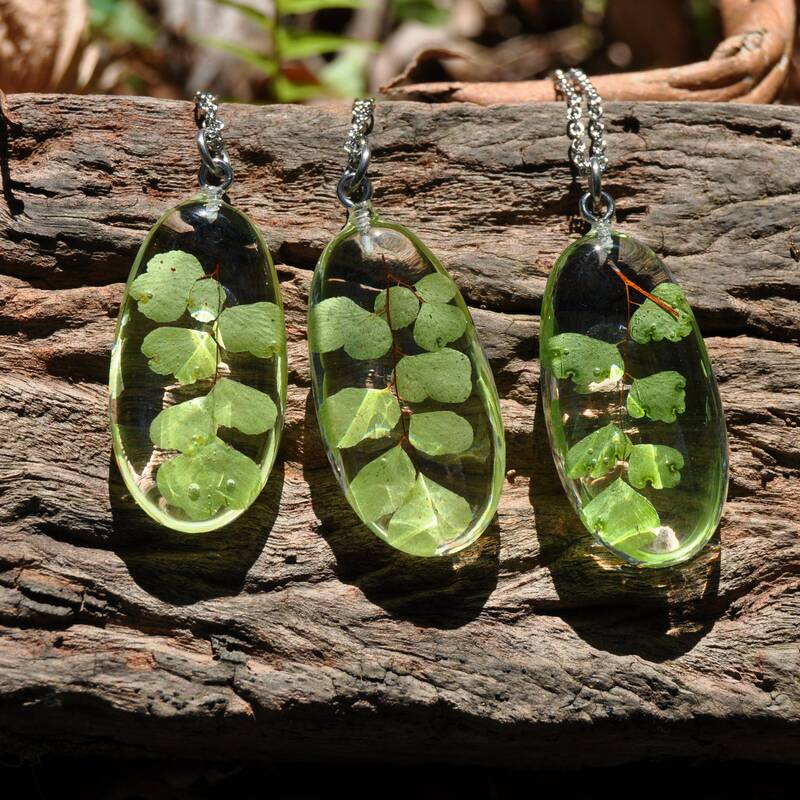 These resin pebble necklaces are each a little piece of floral art, and perfect for a gardener or lover of Australian flora. Each pebble is hand cast in clear eco resin, and modelled from a natural river stone. 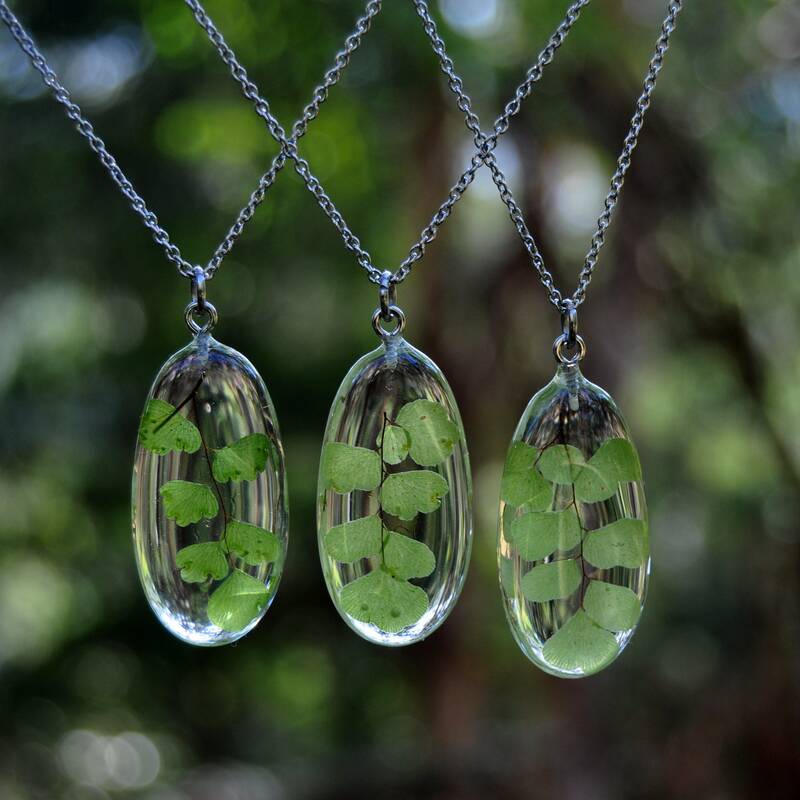 Inside each is a piece of real Maidenhair Fern, a pretty fern native to Australia (and many other places). 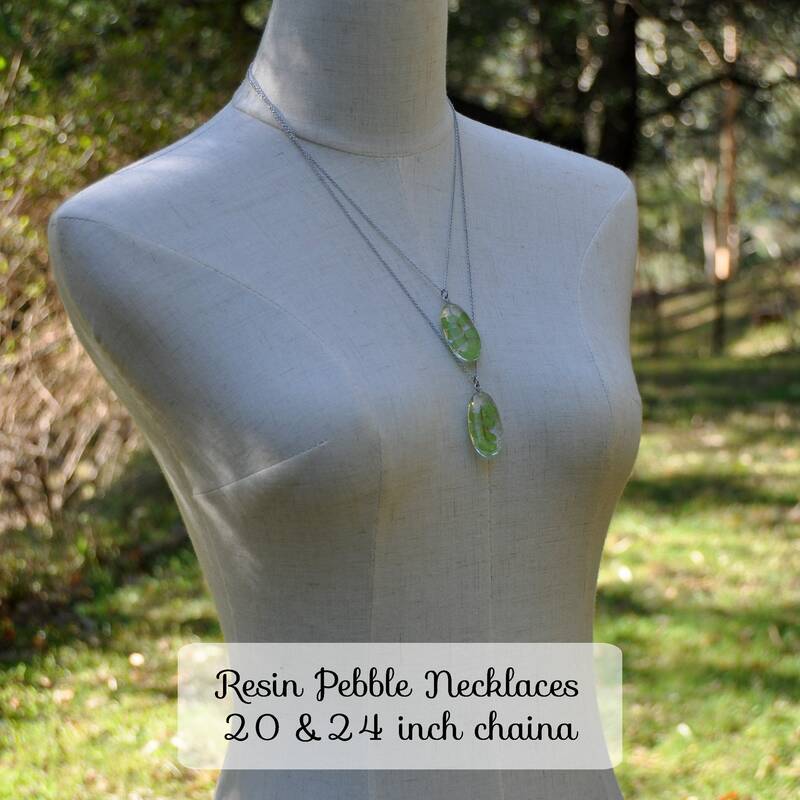 Pebbles have a glossy, glassy finish and each comes finished with stainless steel elements and a fine stainless steel chain. 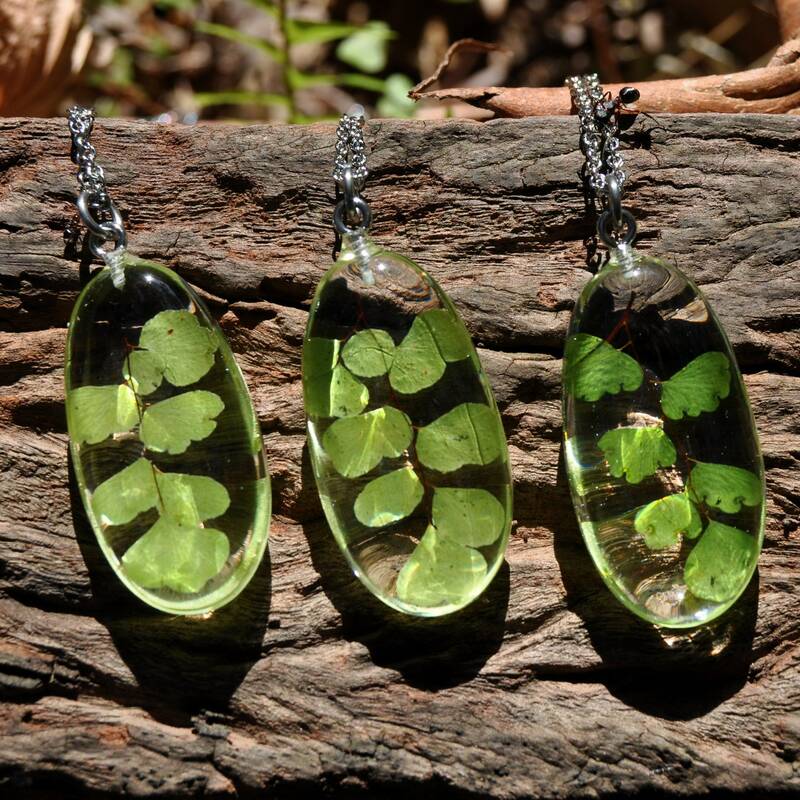 This Maidenhair Fern Pebble measures about 35 mm x 19 mm x 8 mm; it is the smaller of two similar pendants. 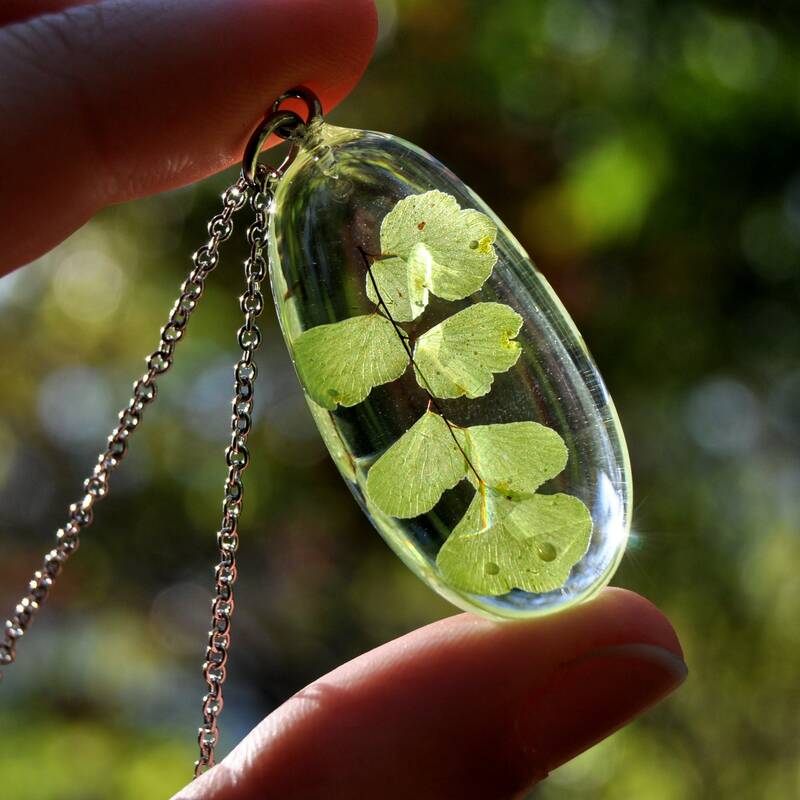 Prefer a larger pendant? 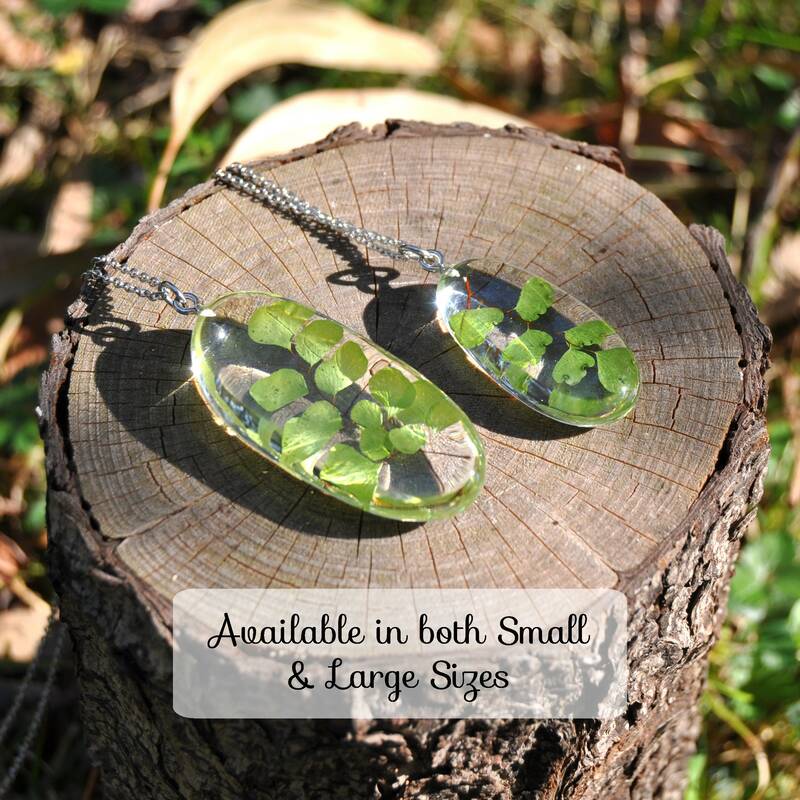 Search "Fern" in my shop for other sizes. 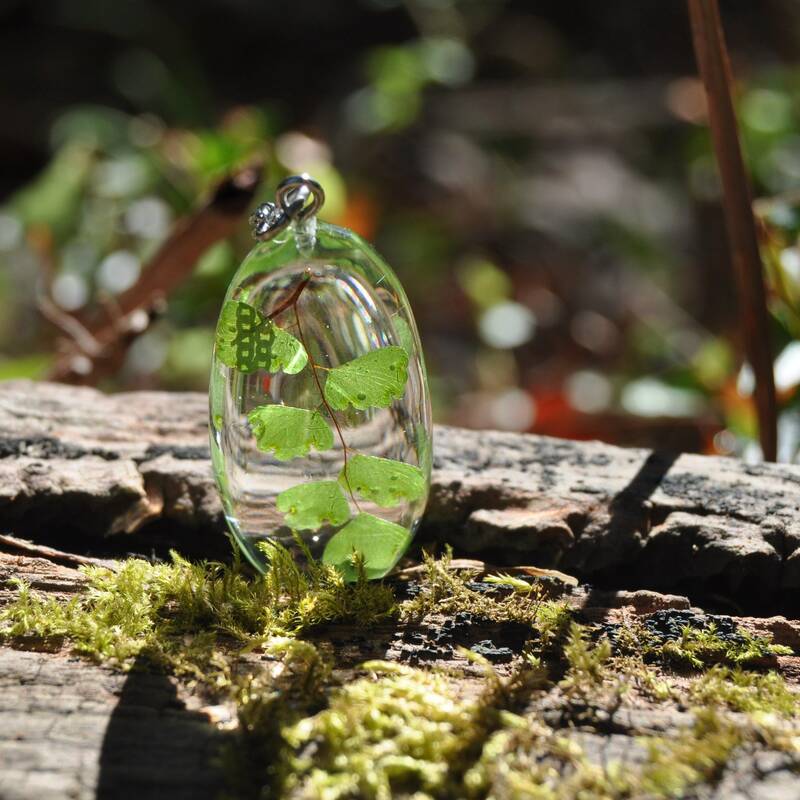 You will receive one pendant - please choose your desired length of chain from the drop down menu, or leave me a note at checkout if you would prefer a different length - I make all chains to order. Please read the FAQ below for further information on wrapping and shipping options. 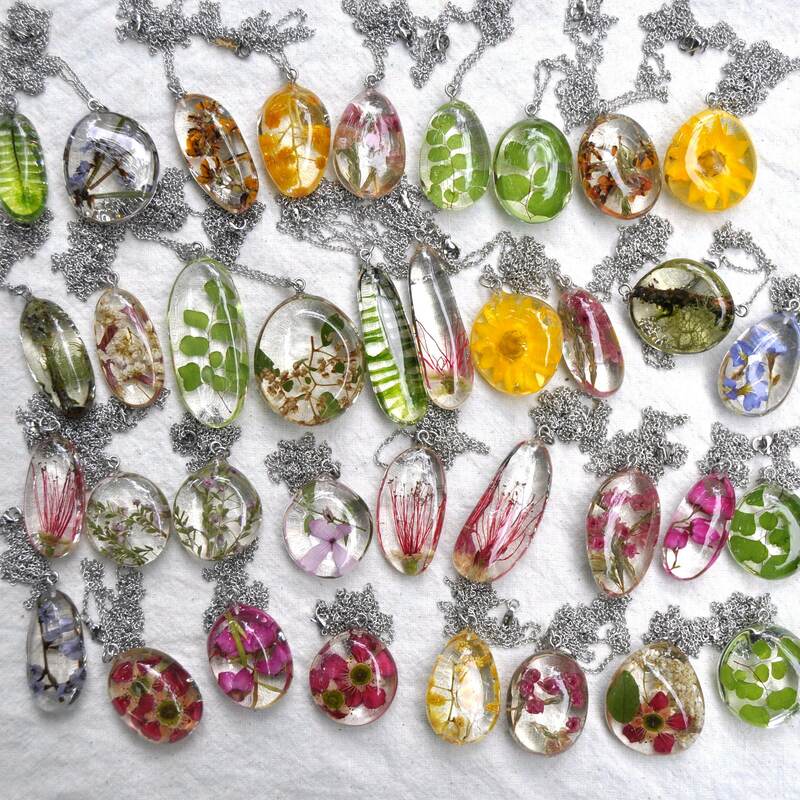 Please bear in mind that all Tree Fern Designs jewellery is handmade. Although I do my best to remove any flaws, there may still be minor bumps, bubbles or imperfections present.